The Reverse Chronological Format is the most common format used when writing a resume. However, it is not for everyone. Take a look at the key elements to this format and find out if this layout is right for you. This format is best for individuals who have a consistent history of employment (or mostly consistent), without gaps, and generally within the same field or industry. This format showcases your experience and a consistent climb through your field or industry ladder. Even if you are looking for a similar position and not necessarily looking to make a step up in your career, this format would still work for you if your experience has been consistent and within the same field. If you do not have a consistent employment history or are switching fields, don’t worry, there are other formats for you. 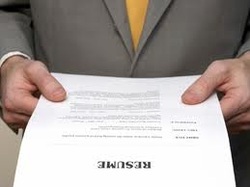 Check out our article on resume format examples to find out which one is best for you. If you have a gap (more than a few months) in your experience, if you are changing fields completely, or have a recent change of industry, consider using another format instead. The Reverse Chronological Format highlights your experience while other formats will highlight your capabilities first, helping hiring managers see the qualities that you bring to the table right from the start and minimizing the attention to the employment gap or career change. Every resume should start with your name and contact information. This should be followed by either a professional profile or an entry-level objective. Next you want to list your experience in… yep, you guessed it… reverse chronological order starting with your most current experience. After listing the experience section, include any education and/or training that you have received. Some find it helpful to also include technical skills that are unique to the industry that you are targeting. The order of your resume is somewhat flexible. Here are a few common ways to organize your information. These options are not hard and fast rules. You can really adapt them to fit your needs. However, remember that the goal of a resume is to get you in the door for an interview. If your information is not orderly, concise, or clear… hiring managers will quickly pass on to the next resume.